Please note that we have bespoke booths for larger bookings - able to accommodate 6-50 persons. Restaurant seating is in various styles - Booth seating - Sushi counter seating (great for watching the chefs at work) - Conveyor belt tables (great for seeing what's to be had). If you have a preference for where you wish to sit, please let us know and we will accommodate your request if possible, but please note that all seating is on a first-come, first-served basis, so we cannot guarantee a specific seat - but we always do our best! We are available to hire for exclusives and private functions, please contact us to discuss requirements. Located in Bartholomew Square in the heart of the Lanes, MOSHIMO is Brighton’s best-loved Japanese restaurant. We're known for our handmade sushi, the authenticity of our hot Japanese dishes, and the sustainability of our fish, for which we have won a brace of prestigious national and international awards. We've become one of THE places in Brighton for eating plant-based food. We’re also known for the best membership scheme in town: with over 15,000 members and more joining all the time, the party keeps on getting better. If you don’t believe us, come and visit us for our 50% MOSHIMO Mondays and now Tuesdays Too. Who says sushi can't be vegan? Moshimo is Brighton’s first conveyor belt style Japanese restaurant, and is very popular with locals along with visitors from afar. Having a reputation for its quality ingredients and a sustainable ethos, I was really excited about my visit to Moshimo to review their vegan range of food. 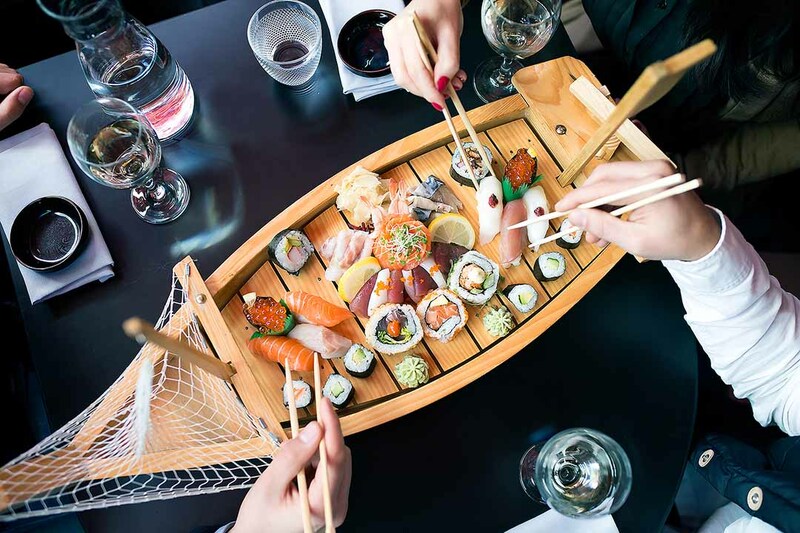 Moshimo serves a fantastic selection of authentic Japanese food, it isn’t just sushi there are main dishes such as noodles & rice, or Japanese tapas food. Loved the experience what a cool place to have a Birthday dimner. Staff was super friendly very helpful and polite. Good value for money I can highly recommend it. Always excellent food here, the location and atmosphere always makes it a treat! Been visiting for over 14 years, always great food. Waiter was great at offering advice and recommendations. Service for an additional order was quite slow as it got busy with big parties. Very attentive staff. Great explanations and enthusiasm for the restaurant. Delicious...as always! We took part in the sushi-making class and thought it was fantastic. Rowan was great, very knowledgeable and friendly. Would recommend to everyone. Delicious food, and a lovely atmosphere.. More than just a meal! Really great food,surprised by the choices,good reason for more visits. caring staff who made us feel very welcome. Lovely food, really accommodating when we were running late. Nice atmosphere and great food. Really lovely food, and great staff. A fantastic meal. Nice staff and great food,accommodated dietary requests. We left feeling we would definitely be going back for more. This was a fab place to eat and people watch at the same time - quirky, stylish and delicious! It was Saturday afternoon and a bit busy, we were sat down at the table but the table wasn't properly set for us for a while. Food wasn't tasty at all. Fish felt un-fresh and was tasteless. The makrell shashimi had several pieces that were pure skin, no meat at all. I really had a bad experience and i felt like my night was ruined and that I wasted my money. My girlfriend thought the same. What got me most annoyed was that you placed a 10% tip on us, without us knowing. This was AFTER I gave respectful and honest feedback to the waitress. Very disappointed, was expecting a great taste experience, unfortunately I got the opposite. Amazing. Best restaurant in Brighton. Perfect, delicious food, great staff, incredible value (Moshi membership is highlight of my life!). 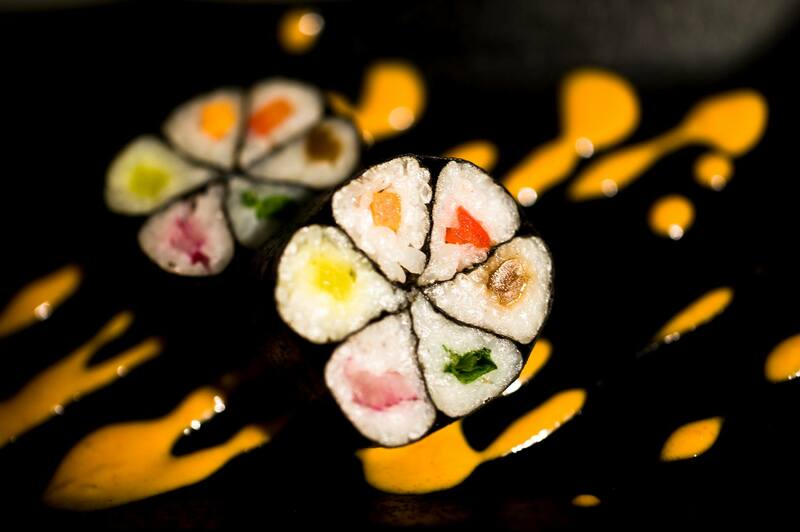 Sushi is fresh, hand rolls are divine, flavoursome and suitable for vegans too. Doesn’t get better than Moshi. The service wasn’t very good on Saturday. I appreciate it got very busy at some point but when it got quieter again, we were still struggling to order more drinks and on the end gave up on ordering dessert after having waited for 20 min after our last dishes.